The companies which sell semi-automatic firearms to authorised civilians are the same which sell products to our defense. Europe’s 2.55 million police officers and 820,000 1st responders are facing ISIS terror attacks and threats coupled with the surge in entry of 1.8 million migrants (UN data) with far greater complexity than ever before. The Western European police forces are ill equipped to counter 21st century terrorists who use cutting edge encrypted communication, conduct remarkable pre-attack intelligence by jihadists who have been trained by ISIS ex-Iraqi military officers on planning and conducting modern day guerrilla warfare, and use modern weapons. Europol estimates that up to 11,000 European jihadists (5000 in Western Europe and 6000 in Eastern Europe) have returned to Europe after obtaining combat experience on the battlefields of the Middle East. 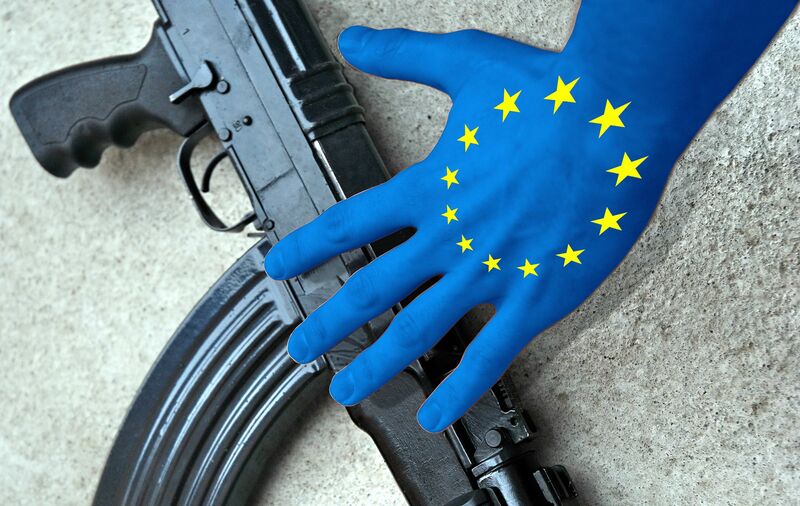 The European Police Office (EUROPOL) estimates that there are 4 million unregistered illegal firearms in the Balkans, and over 30,000 military-grade weapons from the former Yugoslavia in circulation in Western Europe. The big gun industry is very silent at the moment. One of the reason could be that they know they can sell in future loads of weapons to the European police & 1st responders.